Finlandia vodka only £12 at Sainsbury's. A quality vodka, and my personal favourite. Not voted hot or cold - okay vodka but prefer Smirnoff and Tesco are selling 70cl bottles of Smirnoff at moment for £10. Not voted hot or cold - okay vodka but prefer Smirnoff and Tesco are … Not voted hot or cold - okay vodka but prefer Smirnoff and Tesco are selling 70cl bottles of Smirnoff at moment for £10. Have not tried Stoli - does look the business, when I was in New York last year was drinking Grey Goose - loved it but just a tad pricey in the UK - a Vodka for special occasions methinks. agree! thats my favourite brand. Showing as £12.00 via link. "Peter the Great" arrived on the banks of the Neva River to create a new city. There, on what became the Imperial city of St Petersburg, he raised the Czar's Standard. Two hundred years later in 1894, in this great city Dmitry Mendeleev created the highest standard for Russian vodka. Today, Russian Standard Vodka revives that same recipe, including the finest Russian wheat grains and pure glacial waters from Lake Ladoga, to create a superbly smooth and pure tasting classic Russian spirit. Russian Standard Original - Russia's leading premium vodka. Picked up a few 1L bottles of smirnoff blue label a few weeks back for £9.50 in Hanover airport duty free!!!!! He is looking to distill some apple gin soon so looking forward to that. Chase is good and British. Distilled from potatoes by the person who owned Tyrells crisps in a past business venture. Sainsbury's doing the 50cl for £15.99 which pretty much is the close to £23 for 70cl for those who do not have a Waitrose near them. 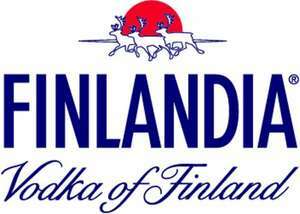 Can drink Finland if I really have to, but I won't go out and buy a bottle - much prefer Russian Standard or Absolut. This price is nothing new, it's been 12 quid several times before now. As for Smirnoff being a tenner in Tesco right now, yes that is indeed correct. However, if you've a local Sains, pop down there and grab a 70cl of the superior Russian Standard for the exact same price. Can't compare both for quality. I'm not spirit snob so I would say unless you intend to drink this neat I really can't tell the difference between the good stuff and white label own brand. Maybe a good price for brand but not for vod imo. I'm not spirit snob so I would say unless you intend to drink this neat I … I'm not spirit snob so I would say unless you intend to drink this neat I really can't tell the difference between the good stuff and white label own brand. Maybe a good price for brand but not for vod imo. One of the best vodkas in the world, try lime or grapefruit one, amazing 8). Hot! Can drink Finland if I really have to, but I won't go out and buy a … Can drink Finland if I really have to, but I won't go out and buy a bottle - much prefer Russian Standard or Absolut. .
Those are good vodkas but I think very comparable with Finlandia for quality – I personally prefer Finlandia over them as it somehow tastes purer. I can’t believe though that people are talking about the likes of Smirnoff in a thread about a quality vodka like Finlandia! !